Present impactful messaging with NEC’s MultiSync ® V554, a professional Digital Signage solution for worry free operation yet achieving the lowest operational investment. Perfect readability under common light conditions is guaranteed thanks to the combination of a brightness output of 500 cd/m² with an anti-glare surface. The modern and slim design is the perfect fit to complement the surrounding architecture as well as for integration into any application and environment. The wide range of connectivity options and compatibility with high resolution signals up to 4K/60Hz secure a futureproof investment providing a long-lasting success story. The Open Modular Intelligence (OMI) approach is the smartest way to deliver tailor-made Signage Solutions, where scalable computing power such as Raspberry Pi compute modules or OPS Slot-in PCs are seamlessly embedded into the display. 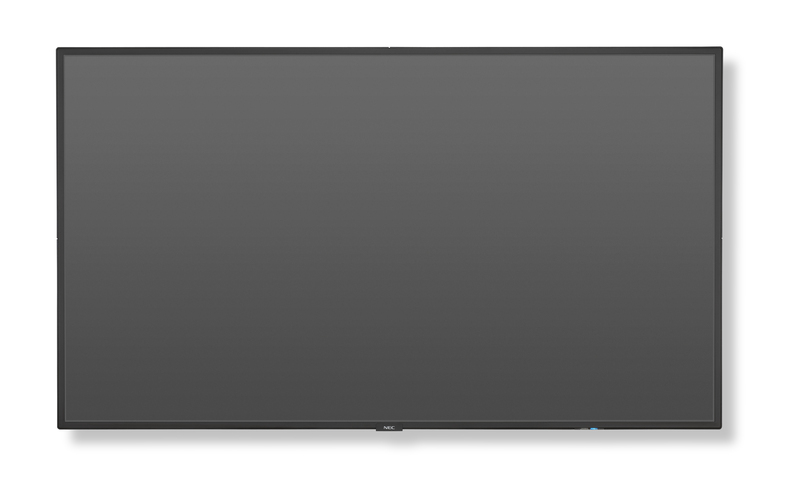 The 55” MultiSync ® V554 is the perfect choice for big and lasting impressions in retail environments, leisure and museum environments, quick service restaurants and corporate signage solutions as well as for smaller meeting facilities.